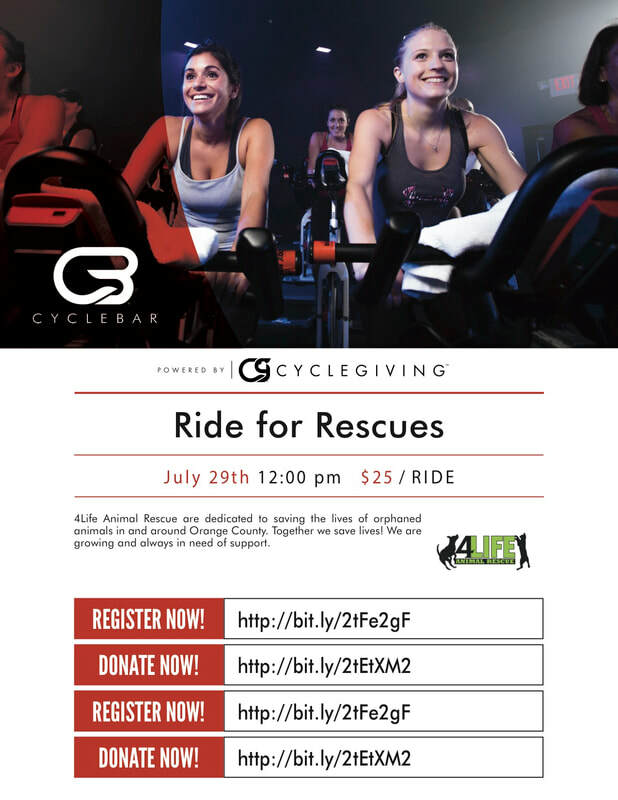 Come join us at Cyclebar's Ride for Rescues on July 29th at 12:00pm in Laguna Hills. $25 per ride will help support animals in need. Register for this event by clicking here. If you are not able to attend the event, but just want to donate, click here.